The Unified Planning Work Program (UPWP) describes and outlines the transportation planning projects to be performed within and adjacent to the Charlotte County-Punta Gorda Metropolitan Planning Organization study area. 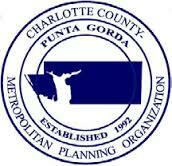 UPWP for the Charlotte County-Punta Gorda MPO was prepared in accordance with the FDOT MPO Program Management Handbook. The UPWP is developed under the guidance of the Florida Department of Transportation (FDOT) and is approved by the MPO Board and the appropriate state and federal agencies. All tasks performed in this document were conducted in accordance with Title 23 U.S.C. and the Federal Transit Act.